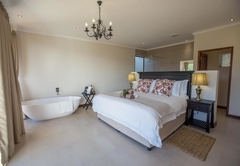 Alkantmooi Keurkloof is a property providing self catering in Plettenberg Bay for tourists visiting the Garden Route region. 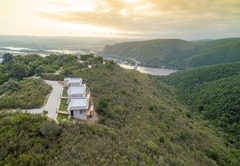 On the hilltop at Alkantmooi Private Nature Reserve you will find yourself surrounded by some of nature’s most exquisite visual displays. 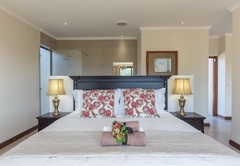 Here you can find Alkantmooi Keurkloof, which offers three stunning self catering units. 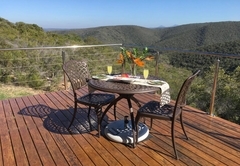 Alkantmooi Private Nature Reserve is situated in the Keurbooms River Valley close to Plettenberg Bay. 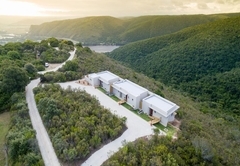 Although Alkantmooi is a short 6km drive from Plettenberg Bay’s well-developed holiday infrastructure, the private nature reserve is secluded enough to provide nature lovers with the peace and quiet necessary to appreciate the splendour. 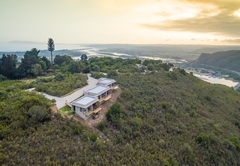 Easily accessible from the private nature reserve is an array of outdoor activities made possible by Alkantmooi Keurkloof’s close proximity to the ocean, river, forests and mountains. 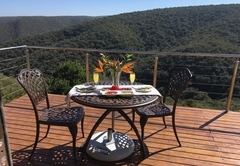 The area boasts an abundance of bird and animal life, including the adjacent Keurbooms River Nature Reserve. Exploring beyond Alkantmooi Private Nature Reserve by no means diminishes the beautiful experience. 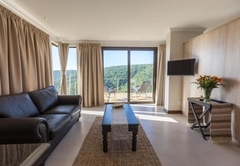 Plettenberg Bay is famous for its unspoiled beaches, fascinating tourist attractions, good restaurants and interesting shops. 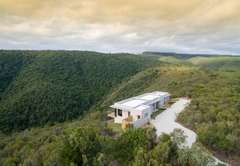 Just up the road is The Crags, an area known for everything from elephants, monkeys, birds and wild cats to sparkling wine, pottery and a theatre in a barn. 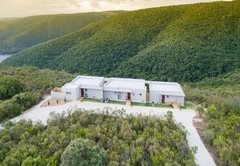 Conveniently situated for an easy slip onto the N2 highway, Alkantmooi Keurkloof is the ideal base from which to explore the Garden Route and beyond. 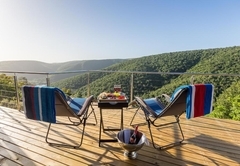 The world’s highest commercial bungee jump, Africa’s largest cave system, shark cage diving, whale watching, the Tsitsikamma Forest and more are all within easy day trip distance. The region also boasts 14 top class golf courses. 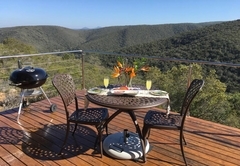 Or you can simply sit on your stoep at Alkantmooi Keurkloof and savour the beauty in every direction. 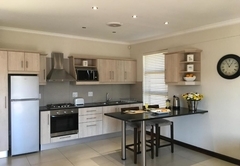 2 bedroom unit with TWO en-suite bathrooms. Shower only. Bedrooms open out onto a private outside deck. Heated towel rails. Hair dryer. Satellite TV (flat screen). Free Wi - Fi. International plug. Serviced daily except Sundays and and Public Holidays. Response timeAlkantmooi Keurkloof typically responds to requests in 5-10 minutes.